Service Provider of a wide range of services which include abrasive cut-off machine and abrasive cut-off machine for spectro specimen. 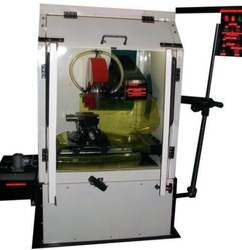 We are the well-known manufacturer of Abrasive Cut-Off Machine for Metallography quality control lab. These are precision designed and manufactured using most advanced techniques and materials. We manufacture and trade a technologically advanced semi-automatic as well as a fully automatic abrasive cut-off machine with hydro-pneumatic cylinders and auto cut off. These are available with PLC controls and magnetic coolant separators and are offered at a competitive price to our clients. 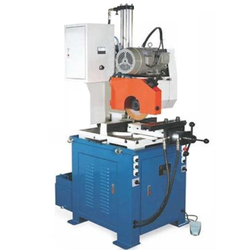 Looking for Abrasive Cut-Off Machines ?